A dark sky filled with stars is becoming an ever rarer sight. Since most of the human population lives in or around big cities we have become detached from our night sky heritage as artificial lights filter out natural star light. Ask a young person about the Milky Way and you’re more often than not going to get an answer about some chocolate bar rather than the beautiful glowing arch of starlight above. Light pollution, the bane of all astronomers both professional and amateurs alike, is basically light produced by street lamps, sports fields, skyscrapers, shopping malls, and even porch lights – any kind of light that floods the night sky and washes out the stars. But it not only robs us of our window to the cosmos but also wastes energy and can affect wildlife too. You want to see how bad light pollution is? 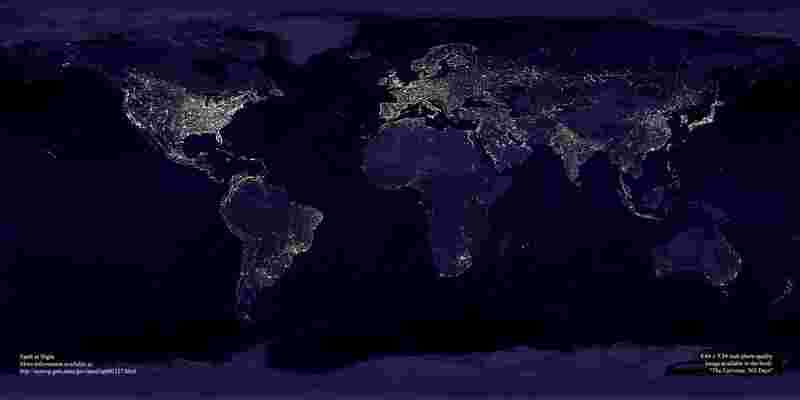 Then check out this sobering NASA map (on the left) of the Earth as it appears at night from space. We encourage everyone on earth to switch off only on light every night after 10 PM and join us globally to save earth and our life from light pollution. what do you say ?